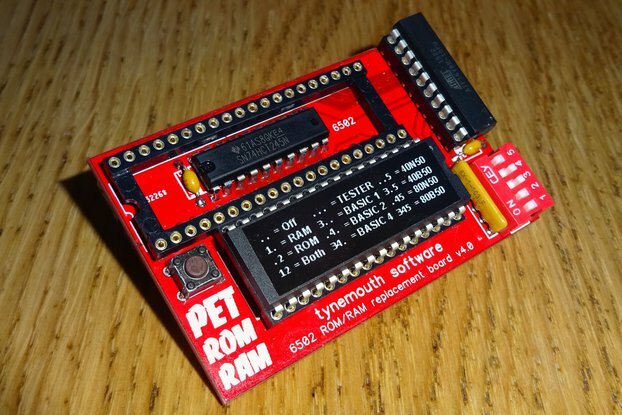 The Tynemouth Software Minstrel ZX80 clone. Do you want me to have the fun of building your kit? What is it? 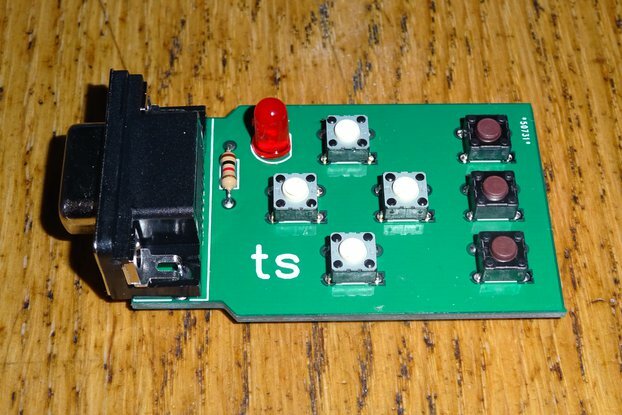 This is a PCB which can be used to build a ZX80 clone. An 8bit Z80 based computer, the predecessor of the ZX81 and ZX Spectrum. It has 4K or 8K of ROM, 16K of RAM and a 3.25MHz Z80 Processor. Input is via an 8x5 matrix keyboard (not included - see below for options), output via composite video (improved over the original ZX80 design). It is programmed in a simple version of BASIC. 10 PRINT "HELLO WORLD", 20 GOTO 10, RUN. Why did you make it? The ZX80 itself is quite rare, this is an easy way to build a version with modern parts which is fully ZX80 compatible. What makes it special? 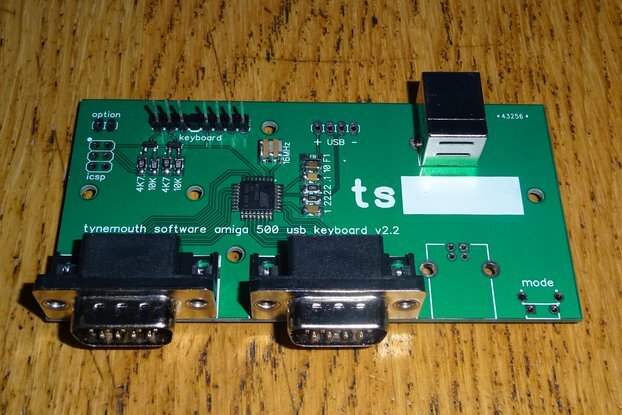 It is built in the form factor of the ZX81, so can be used as a replacement board for a broken ZX81. The design follows the original ZX80 design with only a few changes. The RAM has been upgraded to 16K, and the ROM socket can take a 2764-27512 EPROM with 1 to 8 ROM images which are jumper selectable. The video output has been improved and is now a composite video signal rather than the version generated by the original ZX80 and early ZX81 boards which were missing one part which affected the black level on modern TVs. All parts are through hole, so assembly should be straightforward. 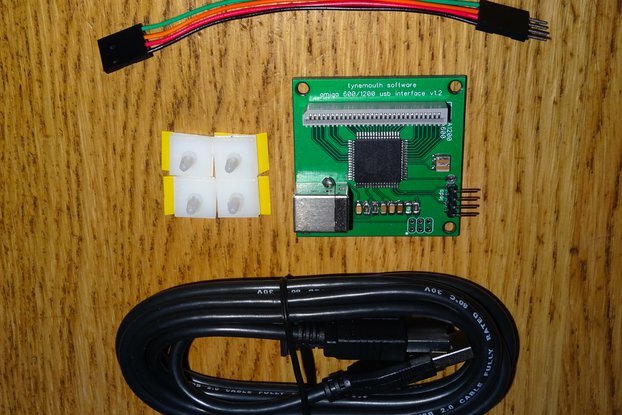 It can be used with the original ZX80 4K BASIC ROM or the later ZX81 like 8K BASIC ROM. 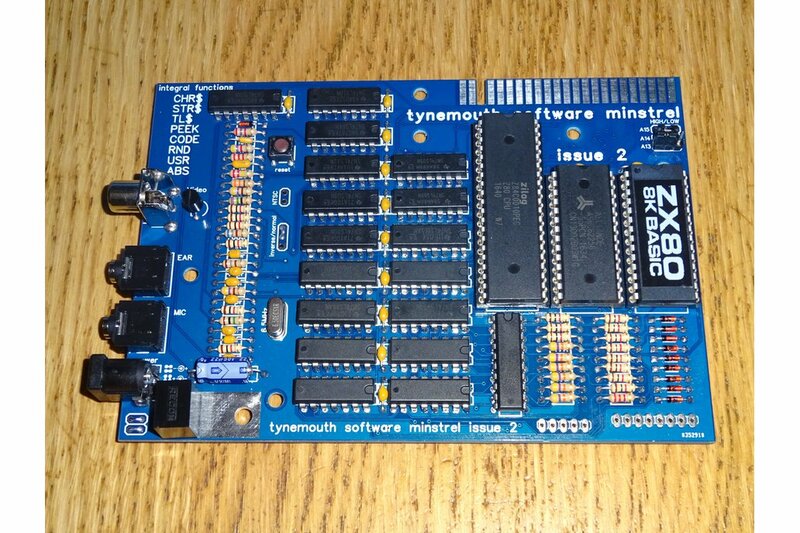 Note these issue 2 boards do not have the NMI based slow mode, so are not fully ZX81 compatible. 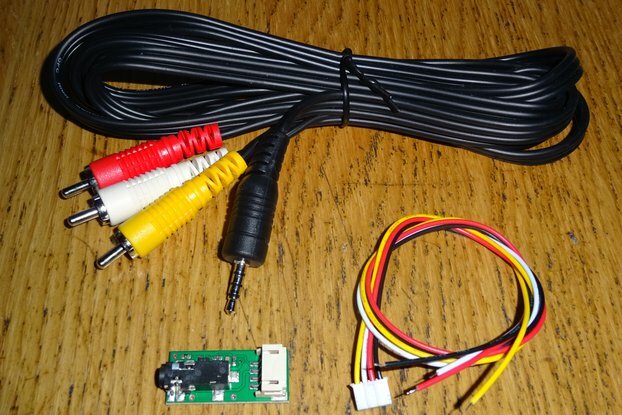 The video output composite video, and is jumper selectable between the PAL and NTSC. What options are available? 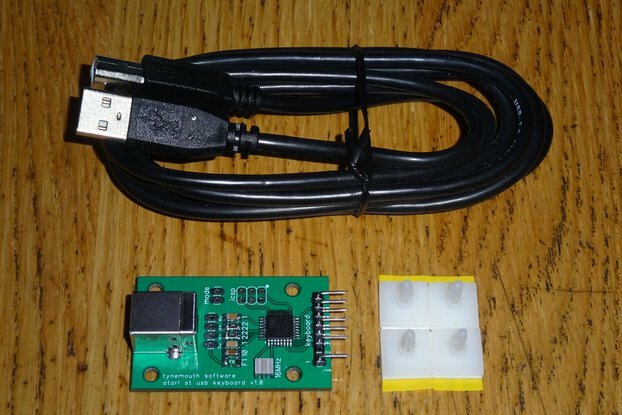 This is available as a bare PCB or as a kit of parts to build the main board. PCB Only As it says, only the PCB. Comes with parts list and schematic. You need to source the parts / keyboard / case yourself. Partial Kit As the PCB Only option, but with two of the more difficult to locate parts, the 6.5MHz Crystal and a programmed ROM (with 4K and 8K BASIC, jumper selectable with the A13 jumper). IC Sockets The full kit comes with turned pin IC sockets for the CPU, ROM and RAM. You can optionally add sockets for all the other ICs on the board. Voltage Regulator If you are fitting this into a ZX81 case, you can select a 7805 regulator and reuse the ZX81 heatsink. In most cases, go for the switch mode replacement (small black box which is more efficient and does not require a heatsink). PCB Colour The standard PCB is green. I have a limited supply of blue versions of the PCB which match the Minstrel keyboard. Keyboard Connector You can fit various 8x5 matrix keyboards to the Minstrel. Select the appropriate connectors based on the keyboard you plan to use. 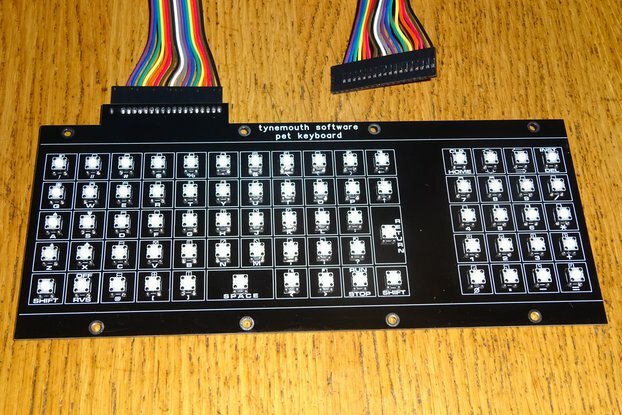 The Minstrel keyboard is a keyboard specially designed for the Minstrel ZX80 clone with 40 individual tactile switches. 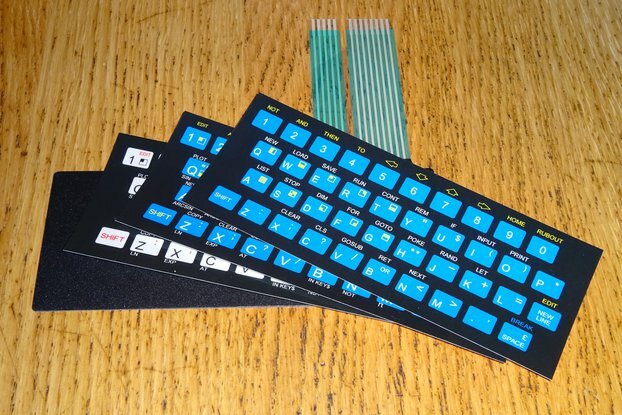 The ZX80 overlays are stick on overlays which can be applied to a blank ZX81 replacement membrane (only included in the blank ZX81 Membrane + ZX80 Overlays option). 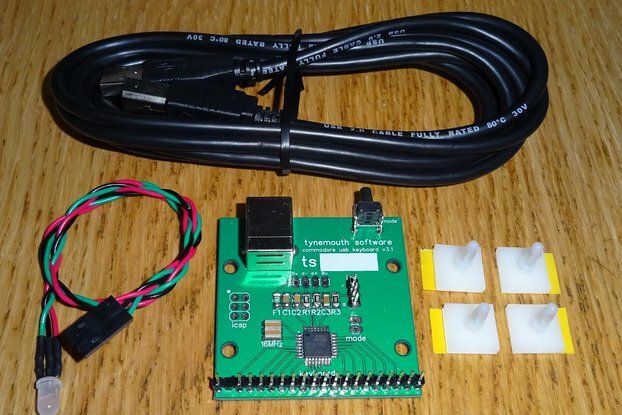 Requires the ZX81 Membrane connectors from the connectors option. Base Plate I can supply a clear perspex base plate as shown in the pictures to mount the Minstrel and keyboard, or a ZX80-KDLX keyboard, or ZX81 membrane (none included). Comes with drilled perspex sheet and nylon pillars and screws and self adhesive feet. Builds If you want to build a board to fit into a ZX81 case, select 7805 regulator and ZX81 membrane. If you want a stand alone unit, select the Switching regulator and Minstrel keyboard. I spent a happy couple of hours putting this together. The kit is well packed and neat. The board is laid out to make it clear what goes where. My only gripe with that is that components should never be laid out to look neat but should be placed for best routing of tracks on the board to minimise length and complexity. That said, given how the tracks on this board criss-cross, it is amazing this is a 2-layer board with no jumper wires (other than for selections). The chips are laid out on a piece of anti-static foam exactly as they would be placed on the board, which is a considerate touch. My kit does not have a diode for the position D201, which doesn't seem to matter, but this is where things could do with a little improvement. The schematic does not have D201 in it (even as a DNP component) so I can't see what it does. The schematic matches the component reference designators for the most part, but not all, which seems a little careless. Notes in the documentation would help map the reference designators and explain the missing component. The video circuit is a neat solution to avoid the need for an RF box, but the layout means the track to select between NTSC or PAL (well, the number of field lines and the refresh rate) has to cross the entire board. A bit messy, but it works, and is a great way of making this kit international (as well as the oversized ROM with multiple images. The plastic base is sturdy and the standoffs fit well, but the board does not line up squarely with the base. It's not far off, but it does look a bit odd. Also, the standoffs are only 10mm tall, which keeps the kit low-profile, but the flex for the included key matrix won't bend under it properly. It is too narrow a gap and the flex would be compressed against the solder joints, which can have sharp edges. I have gone to DigiKey to get some 20mm spacers and will use some tape to smooth the solder joints and protect the flex. This review is being a bit more critical than I intended. I am something of a purist and electronics is my work as well as play. The kit is fantastic and rewarding and educational. Buy it, build it, enjoy it. Can you let me know where you found discrepancies in the component designators. As far as I am aware, all are correct, other than the 1xx and 2xx parts as noted in the datasheet which replace obsolete parts in the original (the ROM and the RAM chips). The kit should have included 10 diodes, the 9 from the original design and D201 the additional one in the video circuit, between pins 9 and 11 of IC201. The layout choices were partly aesthetic, I like the board to look cleanly laid out, but also a question of trying to fit everything into the smaller form factor. One side of the PAL / NTSC jumper is connected to the 74LS00 and 74LS32 that are directly adjacent to it, the other goes to D9 which is further away. As with many of the parts on the board, wherever they are placed, there are going to be longer tracks on one way or another. This could have been reduced by changing the design, but I was trying to keep as close as I could to the original schematic. I find mounting the keyboard connectors at 45 degrees under the board works well, as shown in the photographs in the listing. There should be enough adjustment in the pillars to square it up if you loosen the screws top and bottom and hold it level whilst tightening them up. I wanted to play around with a ZX80 without the ZX80 pricetag. Yes, I could have used an emulator but where is the fun in that? I purchased this in kit form making it more of an enjoyable experience as I actually had to solder each component into place. I chose the blue PCB and really like the colour. The fun didn't stop when the building stopped, I connected the computer to the TV and it worked first time. This kit was very well laid out in the box, the circuit board looks very professionally done, and the final product worked as advertised and expected. Will definitely look at other kits from Tynemouth Software. Minstrel ZX80 is an amazing piece of hardware, and the seller is very polite and helpful. Definitely the best ZX80 clone around! I haven't had a chance to assemble the clone as yet, but that really won't effect the review. Very impressed with the turn around time, ordered in the morning and was dispatched the same day, great service from a smaller supplier. Arrived a couple of days later, very well packaged in the a small box with plenty of bubble wrap and anti-static bags. The board looks great and of high quality as do all the components. Really looking forward to putting it all together. I like the fact that it is a ZX80 that is slightly updated in the right places: it fits in a ZX81 case, uses the ZX81 expansion bus, has upgraded composite video output, switchable ZX80/81 ROM and 16k RAM. Makes it all easy to use and still close to the original in the ways that matter to me. The postal services in UK and Sweden took their time delivering but that can't be helped, and the packaging was good. New design vintage computer kit. 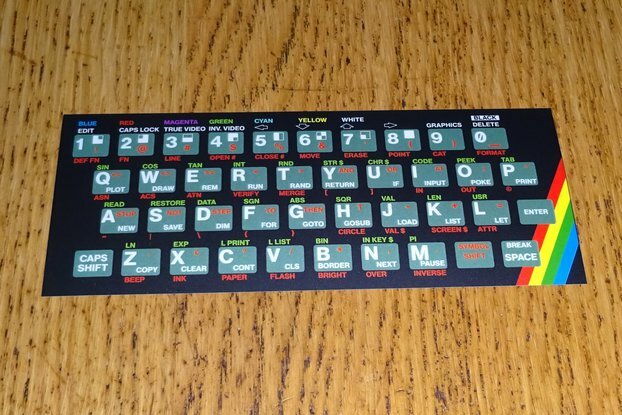 I've always wanted a ZX80 kit, this is the perfect substitute. I had an old stock of Z80 and others chips, so I just ordered only a PCB. I soldered parts, turned on the power, I got horizontal dashes on the screen instead of character. The total current was 280mA, the voltage on the Z80 pin-11 was 4.75V. I added a wire between 7805 +5V and Z80 pin-11, and I got the appropriate characters on the screen. Brand new vintage computer kit. What a great little kit! 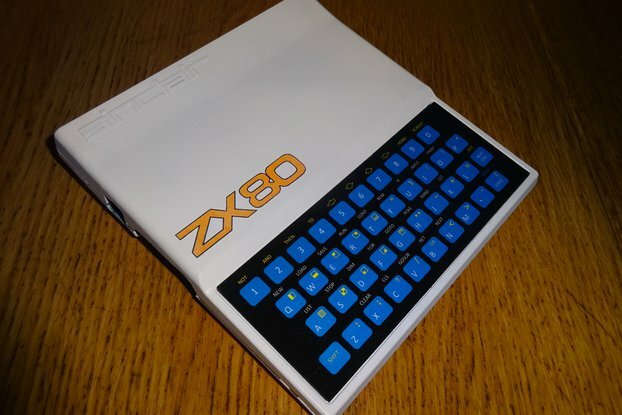 As someone that has always wanted a ZX80 rather than the emulated version but not willing to pay £300 odd pound for an original but possibly crumbly version, this is a perfect substitute. I paid for a pre-built version that was very well made. Excellent communications from the seller and a very stable piece of equipment. This is the perfect project for the vinatge computer collector / hacker. I've added a KDLX keyboard to mine and built a nice perspex case to house the much improved, tidied motherboard. A great little kit with huge possibility. A well thought out, good quality components and an affordable project for any amateur electronics engineer. To summarise this kit i would say get one you won't regret it.